In the past few months the financial crisis in Greece dominated news headlines and with Greek banks having closed their doors and talk of their possible exit from the Eurozone, it wasn’t too surprising that the world watched in anticipation to see how it would unfold. While unable to meet their repayment obligations, the Greeks have over a period of years borrowed several hundred billion Euros from their European partners and prior to the most recent bailout (13 July 2015) Grexit as the media coined it, seemed a very likely possibility. Poor fiscal policy is repeatedly cited as the key factor that resulted in the crises and extravagant spending on the 2004 Athens Olympics, is a poignant example of the country’s reckless spending. With an unnecessarily large number of stadia built in preparation of the games, “go big or go home” it seems was the motto of day. Athens acquired everything from a baseball diamond to a man-made kayak course. Even table tennis, field hockey and judo had their own stadia. Today, more than half the sites are vacant and have to be patrolled by private security guards, among them, the once lavish Tae Kwon Do and Handball Olympic stadium, now empty and secured with a padlocked fence. Athens spent $11 billion, about double the country’s budget, on more than a dozen Olympic venues. 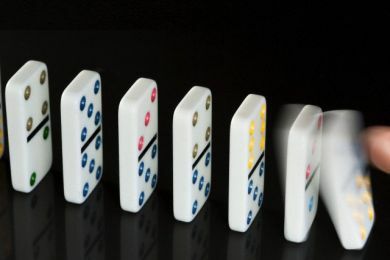 Many experts speculate that the excessive spending that marred this event was the first domino to fall, triggering the financial crisis that is crippling the country 11 years on.